An oval shape with crossing grooves at the base take these Elliptical Crossroads Acrylic Trophies from ordinary to superb in an instant! 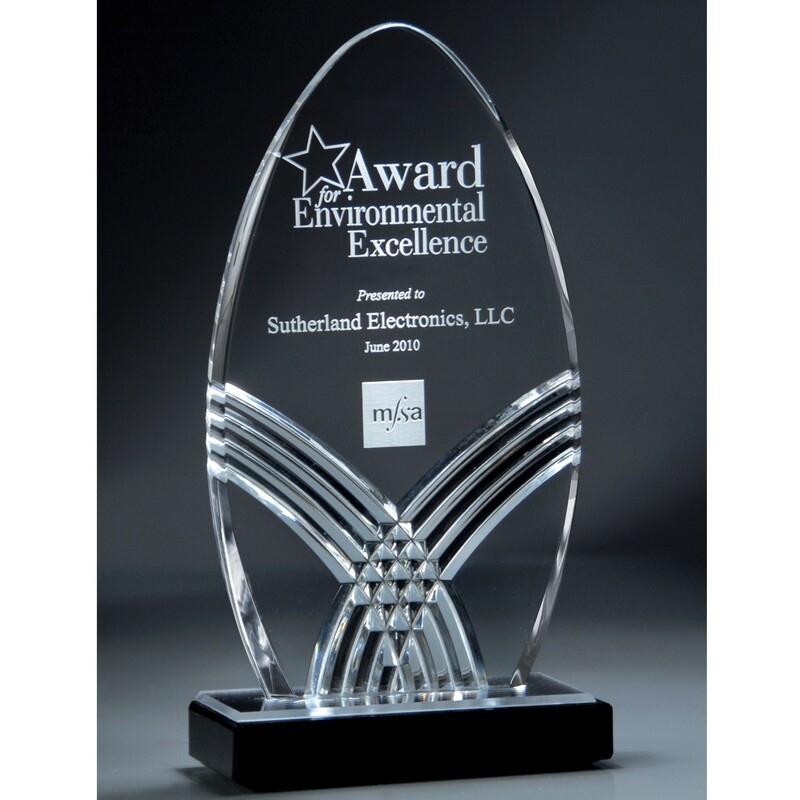 Have your personalized message laser engraved with a frosted look, adding depth to these grand trophies. A black sturdy base will keep these awards upright and as proud as your recipient!